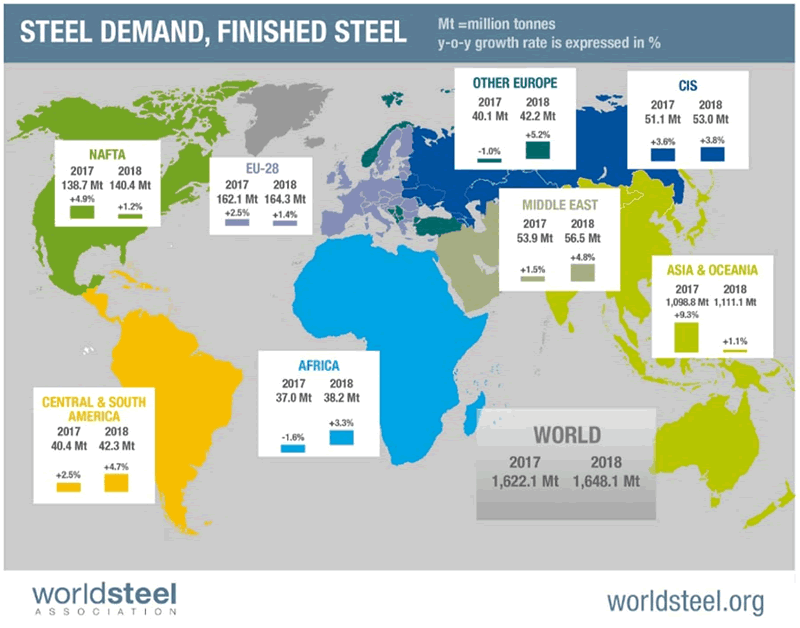 The world global steel production growth rate increased by 5.3% which is one of the major factors helping the related companies to continue its growth. 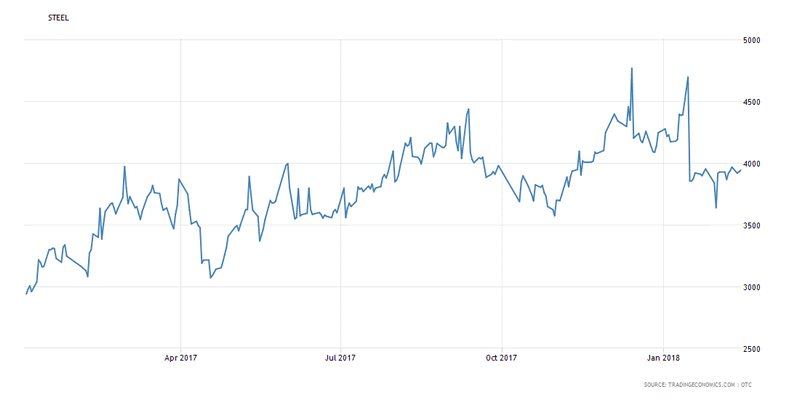 During this month, the United States Steel Corporation stock X price surged 30% breaking above 2017 peak as the move accelerated after the U.S. Department of Commerce recommended metal import tariffs for the federal government. 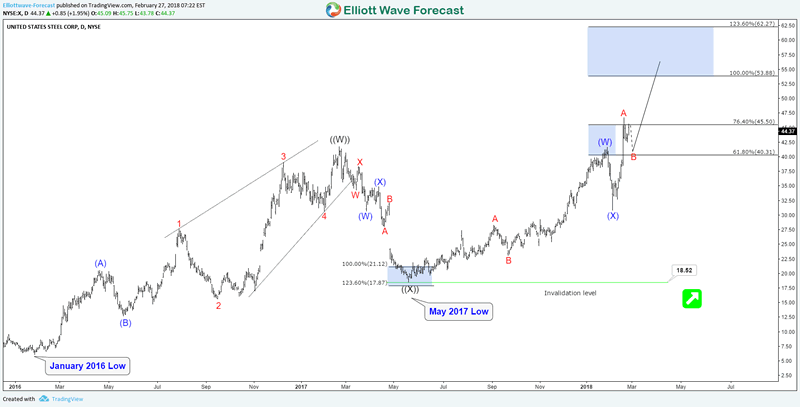 The current Elliott Wave count for the stock is suggesting a double three structure taking place from January 2016 low and it’s also showing an incomplete 5 swing bullish sequence from May 2017 low. Both bullish cycles have a target around equal legs area $53 -$62 and as long as the stock remain above the recent February low $30.9 then it should continue it’s move to the upside. Last year, despite X loosing more than 50% during the correction lower , we expected the stock to remain supported and continue the rally similar to the one from 2016 low as the commodity sector has ended a multi-year correction from 2011 peak. The current expected move higher in X will be supported by the fact that the Dow Jones Iron & Steel Index DJUSST is also sharing the same bullish sequence from 2016 low and both instrument should be rallying together during 2018 before reaching the target higher then ending that cycle. Consequently, investors and trader can still look for buying opportunities in any steel stock like X or NUE in 3 , 7 or 11 swings. If you’re interested in getting more insights about the Steel Sector and other mining stocks then take this opportunity and try our services 14 days for Free to learn how to trade Stocks and ETFs using our blue boxes and the 3, 7 or 11 swings sequence. You will get access to our 78 instruments updated in 4 different time frames, Live Trading & Analysis Session done by our Expert Analysts every day, 24-hour chat room support and much more.